Shoji doors are quickly becoming a fashion statement in homes across the country. Their designs make them appealing to the eye as well as to the pocket. With prices varying from a couple of hundred dollars to up to thousands, there is one of these Japanese style doors to fit any budget. These doors come in different dimensions ranging from 36” to 83” high and up to 80” wide. They are sliding doors with rice paper to fill panes. The panes range from 6 panes per door up to 40 per door. Some even have pictures printed on the rice paper of bamboo trees or cherry blossoms. These Asian style doors are designed to be used inside only although some can be used as entry way doors. These doors have glass panes and are usually frosted. 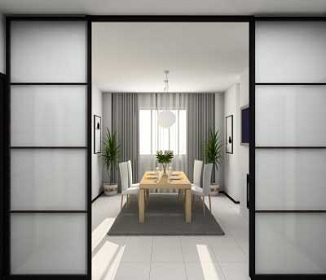 Shoji doors are used for closet doors or room dividers inside the home. Many people are using them as replacement doors for swinging shutter style doors or bi fold doors. When using them as a replacement, the tracks and jambs must be replaced as well. Luckily most of these doors come in a kit that includes the track system as well as the left and right jambs. Prices of these doors vary greatly depending on the manufacturer, whether they are custom made, and the materials used in their construction. For instance the Eudes Shoji Double-Sided Sliding Door Kit costs about $715.99. Its dimensions are 83 in. H x 73.5 in. W and they are made of Spruce Wood and rice paper. They are available at overstock.com. The Zen Shoji Sliding Door Kit with dimensions exactly the same is $495.00 and comes in natural, honey, rosewood and black colors with 40 panes of rice paper, and made of finished spruce. It can be found at orientalfurniture.com. They have the exact same number of panes and made of the same materials but have different prices. 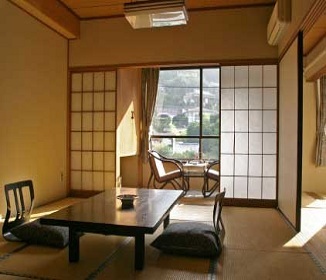 The Cherry blossom Shoji Sliding Door Kit that is made with finished spruce was found on orientalfurniture.com and several other websites for about the same price. Each had the same dimensions of 83” tall x 73.5” wide and offers them in either black or rosewood finishes. The price on orientalfurniture.com was $595.00 as well as on other sites. These shoji doors feature a cherry blossom tree printed in the rice paper. Some shoji doors are single sided and some are double sided. The Shoji Sliding Door Kit – Single Sided found at overstock.com runs about $659.00 and the Euro Shoji Sliding Door found at tatamiroom.com is double sided and runs about $675.00. These contemporary closet doors are the perfect replacement doors for a closet or as a partition and are very similar with the exception of one being single sided and the other double sided. So depending on the style, size and manufacturer of your shoji doors, you can expect to pay an average of about $600 for a set of these Asian style doors. Shoji doors are an excellent choice!